Sales is one of the most important aspects of any profit-oriented business (large corporation and small enterprise alike). Without sales or revenue, these types of businesses would fail immediately and go bankrupt within a couple of weeks or months. One aspect in achieving maximum efficiency in your sales activities is to create a sales report. In this article, we will be discussing how to create a sales report. We have also provided some examples and templates which you can download for free. Check them out below! 1. Sales volume (per item or group of items): Probably the most important element of a sales report, sales volume pertains to the exact number of products being sold at a specific time period (i.e. daily, weekly, monthly, yearly, etc.). Depending on the number of products sold, the sales volume section should comprise the most pages of the sales report, thus a number of pages should be allotted. Even if you don’t have any sales for that specific time period, information should still be listed down in the said sales report. 2. Current and new accounts that were contacted: Another important element in a sales report is the listing of the current and new contacts that were contacted during the sales report. For obvious reasons, you will need to verify your sales and potential sales through the individuals who purchased the product or will be purchasing in the future. The names of new clients should not the only thing to be listed in the sales report, as current or previous clients should be listed down as well especially if they purchased a product within the sales period. 3. Costs that were incurred: A sales report is simply not a business document where the number of units sold or number of clients contacted are the only contents. Conducting sales activities are not free (nor are they cheap), that is the reason why the costs incurred when doing sales activities such as sales calls and meetings should also be listed in the sales report.You may also see marketing report examples. Before details are written in the sales report, there should first be enough space for the details to be written. Therefore, a number of pages should be allocated in the sales report so that all of the details can be listed down. Always allow extra space since you will never know the exact data or information that you will be listing down in the sales report. Blank pages should not just be merely blank, as the appropriate columns and headings (as well as the company logo if applicable) should be listed in every page. Speaking of columns and headings, they comprise an integral part of a sales report. Make sure you list down the appropriate and necessary columns and headings so that it will be easier for you to create the sales report. 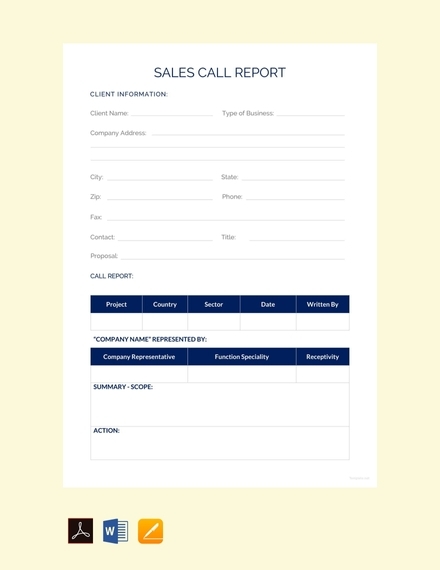 Here are the headings that you should incorporate in your sales report: sales volume, accounts contacted, and incurred costs. There is no need to combine all of the headings in the sales report, as you can categorize the headings in different tables. You can create different headings for the sales report, like the ones mentioned above. It will be much easier for you to create the report once the appropriate headings have been listed down. You may also see free report examples. People focus too much on the products being sold and the number of clients being contacted that the costs incurred when conducing the sales activities get lost in the shuffle and is completely forgotten to be incorporated in the sales report. That is the reason why you should never forget to incorporate the costs in the sales report, even though the importance is not on the same level, it should still be included nonetheless. 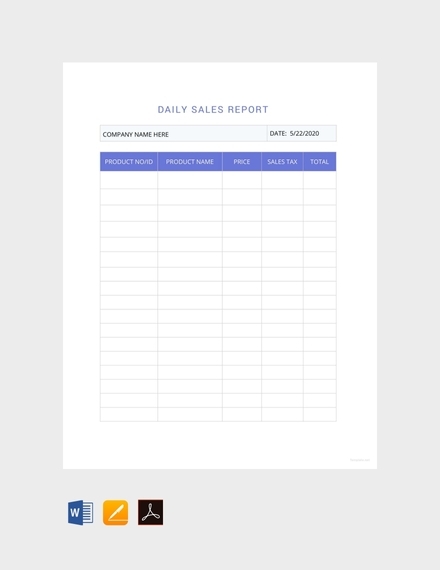 Before you actually start creating the sales report, you first need to create a draft or a layout on the information you will be incorporating or will be listing down. You can create the draft or layout in a separate piece of paper or design the layout in a graphic design software. When creating the draft, you should already incorporate all the information that will be present in the final layout of the sales report. Once you have already created the draft or layout, set the it aside for the meantime and prepare the information that you will be incorporating in the sales report. These information include the specific products and the exact number that was sold as well as the profile of the customers who bought the said products. 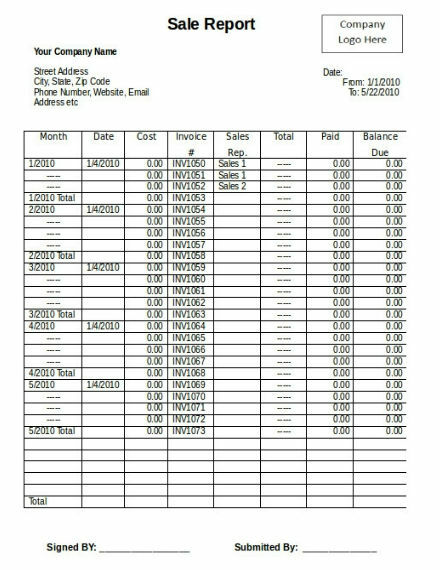 It is easier to transfer the information to the sales report if the layout is well written and laid out properly. Once you have gathered all the necessary information and created the draft or layout, it’s now time to create the headings and columns. As previously mentioned, you can use these headings for your sales report: sales volume, accounts contacted, and incurred costs. For you to create an effective sales report, you need to have extra pages in case you will be incorporating numerous data in the said report. You will not know the exact amount of products or services you sold, so it is better to allocate ahead of time the number of pages in your report. Take note that the extra pages you incorporate should not be blank, but should already have the appropriate headings and columns. After you have finished everything (including the editing), it’s now time to save the sales report then print. Make sure to double-check everything before you print the said sales report. Promotional sales report: A promotional sales report lists down all the sales where the customer is given a promotional discount by a sales representative. Coupon sales report: Coupon sales report tracks all sales that involve the use of coupons. 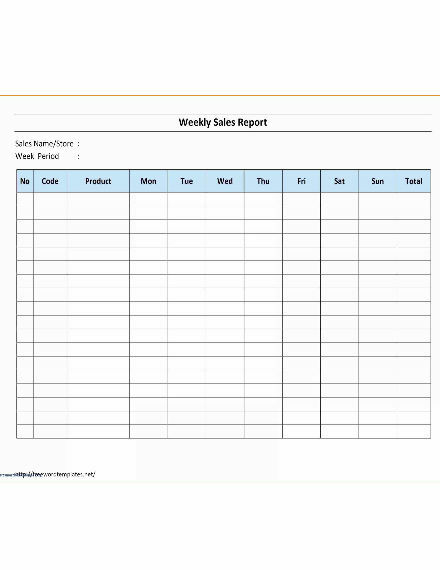 Common sales report: All the sales that do not include an allowance or a discount, and a promotion are covered by the common sales report. Opportunities sales report: An opportunities sales report presents the number of sales that the sales team is concluding every month (i.e. closed deals, sales trends, etc.). Daily call report: A daily call report shows the number of times the sales representatives call customers within a specific sales period. 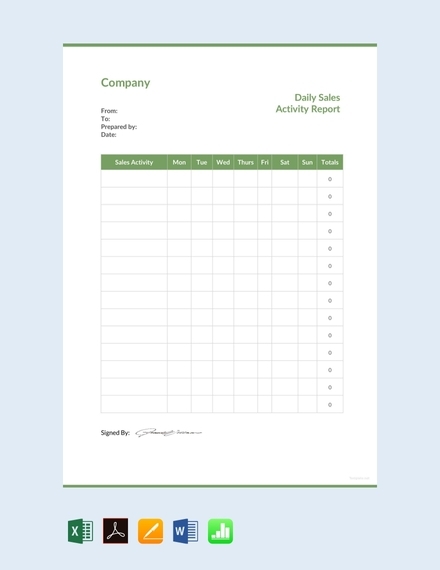 Productivity report: The productivity report keeps track of all activities that occur within the sales organization. 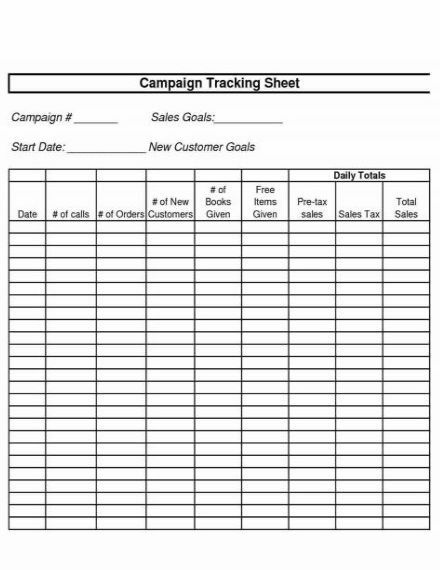 There is only one size you should use when creating a sales report, and that is 11 × 8.5. It is basically an 8.5 × 11 US paper size that is inverted to a landscape page orientation. 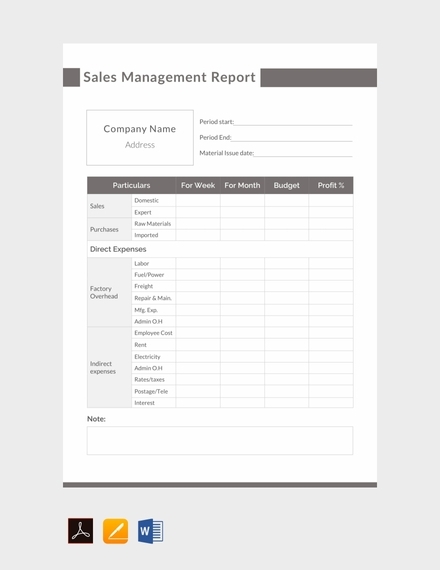 All of the information and data you will be incorporating in the sales report can easily fit in this paper size. 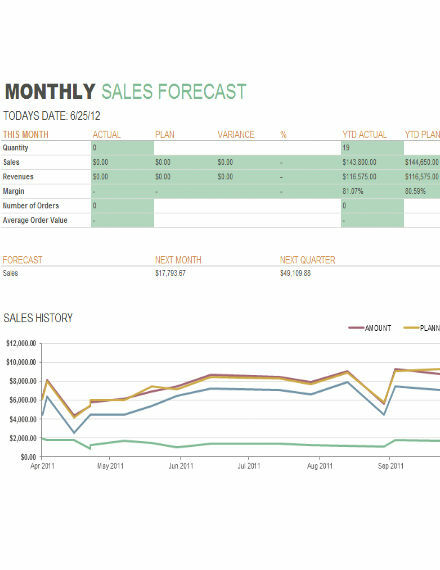 How do you create a sales report? 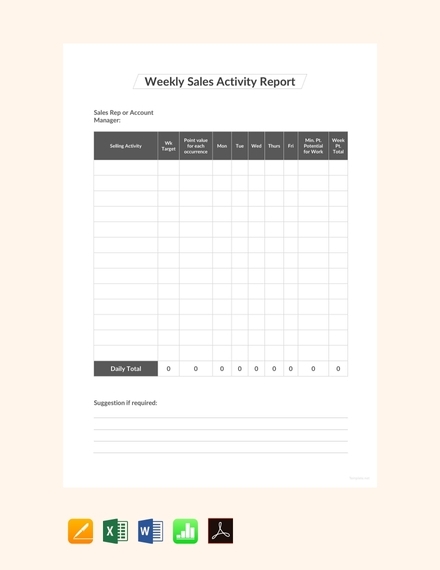 Follow these easy steps when creating a sales report: (1) create a draft or layout, (2) gather necessary information, (3) create headings and columns, (4) allocate extra pages, and (5) save and print. 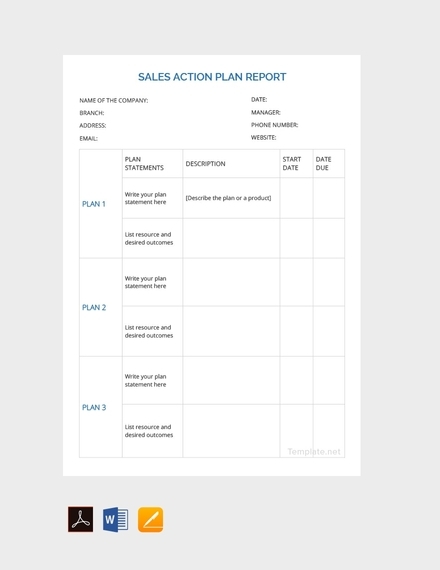 What is the purpose of a sales report? 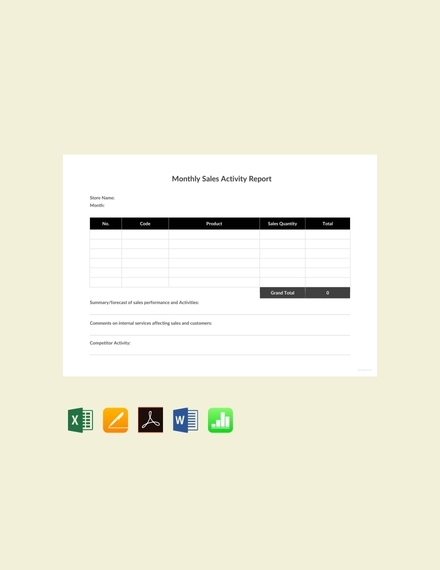 The main purpose of the sales report is to record every sales activity conducted within a specific time frame. We hope you found this article to be informative as well as helpful when you will be creating your own sales report. 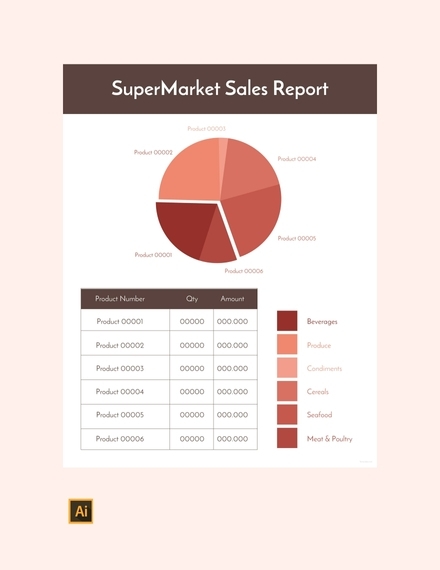 We have also provided some examples and templates that you can download for free and will definitely assist you when you create your sales report.